 At Fish for Thought, we are a shy and retiring group most of the time, but put us in front of a camera and start filming, and we come to life! Especially our illustrious leader Paul – he loves a bit of TV action! We had the pleasure of hosting Dave and Si during a visit to Cornwall. We showed them Newlyn Fish Market, and took them out on a Shellfish Boat too! A memorable day, with two people who are exactly as you would hope them to be – top blokes with a real passion for food! When Paul was invited to be a judge on the Young Fishmonger of the Year, he was very excited. It was inspiring to see some of the country’s best young fishmongers showing off their skills! It was also great fun filming with fellow judge Rex Goldsmith (aka The Chelsea Fishmonger) and compere George Lamb (recently on Britain by Bike with his Dad Larry).  The lovely people at Food Unwrapped asked if we could help explain why the tiny lobsters sold in certain supermarkets, were so much cheaper that the larger native lobsters that we provide. We thought the best thing to do was to show them how hard the Cornish fishermen work to land our incredible lobsters, and so took Kiran Jethwa to sea with our friend Skipper Julian Brown out of Port Isaac. In addition, our fish has featured in various episodes of Poldark, and been the main ingredient in some of the Master Chef Competitions! So inspired were we, through our involvement in these shows, that we started our very own TV Channel on Youtube – Fish for Thought TV! Our aim is to inspire you to cook and enjoy more seafood at home, with lots of films to show you how easy it is to make delicious, restaurant-standard meals, in your own kitchen. Brill is a great sustainable choice - 'Recommended' by the Cornwall Good Seafood Guide! Are you consuming two portions of fish a week? Nearly half of us are falling short of the amount recommended by experts. Here are 5 ‘reely’ important reasons to up your intake. Arguably the most important part of Christmas, for a brief moment - forget the gifts, forget the holiday spirit, forget the Christmas hits you hear every year and definitely forget about the enormous amount of tidying up you will probably have to do after Christmas bulldozes its way through the household. Now is the time to focus on that pre-Christmas-roast tummy-rumble.